How do I export Payroll? Payroll reports are generated based on time clock activity, so your employees will have to punch in and out with the time clock or you will have to manually enter their time. 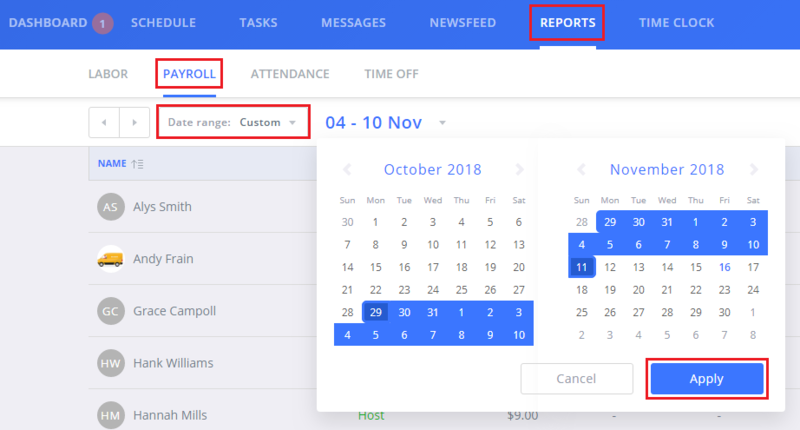 Once you have that info recorded, you can choose any range of dates to export from Reports > Payroll. You have the option to export the data as an XLS or CSV file, which can then be uploaded to your Payroll processing service.